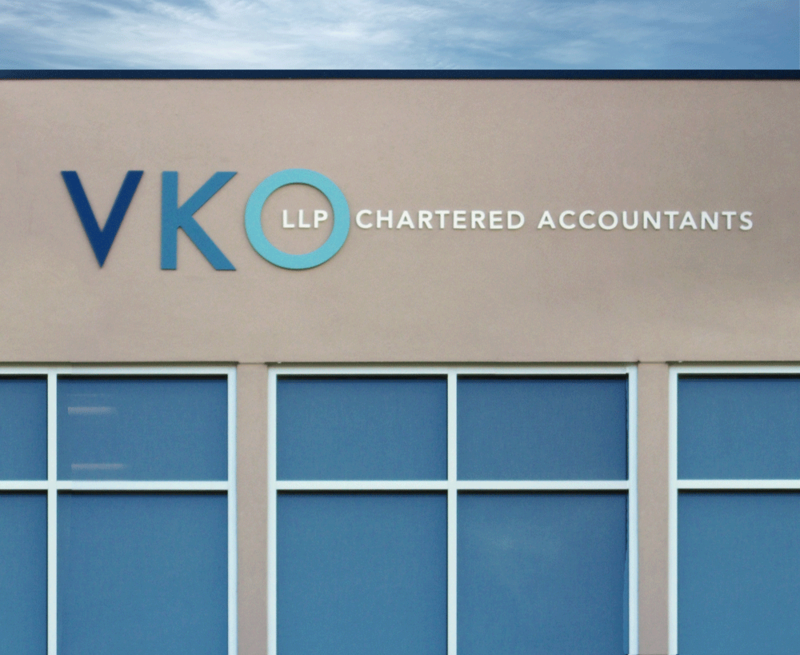 Stringbean Design developed the corporate identity, and interior and exterior environmental graphics for the offices of Vanderschee Koebel Ouellette, LLP Accountants in Edmonton, Alberta. 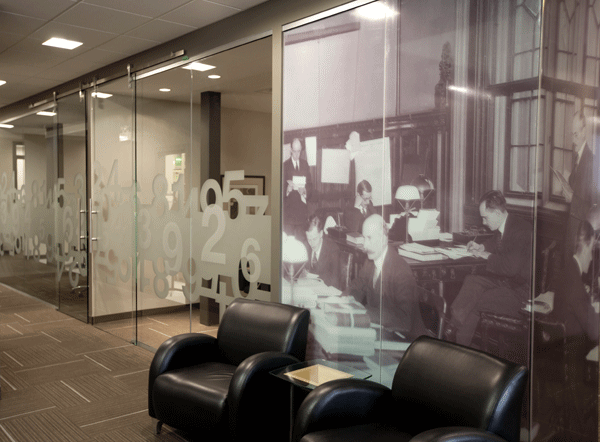 Working closely with interior designer, Lori Dundas, we developed the graphic treatment for the office interior. 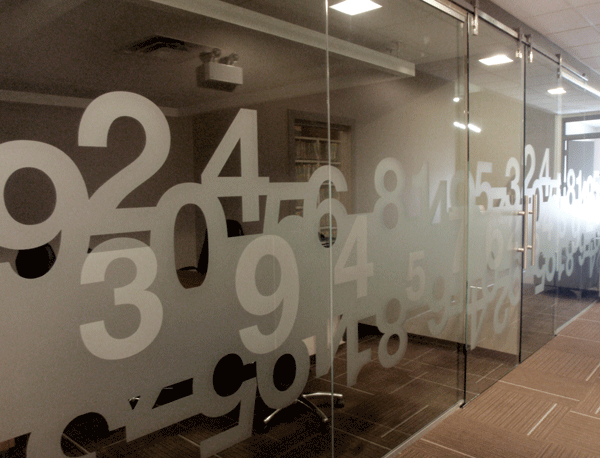 The frosted vinyl graphics on the glass boardroom walls provide an intimate setting for client and staff interactions.